One of the key elements in running Cover Two is the ability of the Cornerback to reroute any outside release and force the receiver back in. This is not a natural technique for athletes and must be practiced consistently. In addition, if the Cornerback misses he can open an easy completion and a long gain. 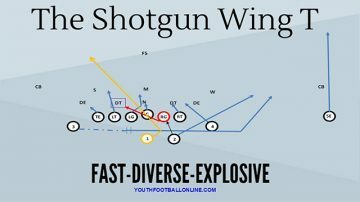 The Cloud Drill is a great way to drill this technique to ensure that all of the Cornerbacks are effectively rerouting outside releases. In this drill the Cornerback will start about 5 yards in front of the player that is acting as the receiver. The Coach will line up behind the CB and tell the receiver which way he will be going. As the player releases off the line, the Cornerback will look to keep outside leverage and collision any outside release while keeping his eyes in at the Quarterback. There are a couple of key points that the coach needs to watch out for to ensure that athletes are getting the most from the drill. The first is the technique of the Cornerback when the ball is snapped. Most Defensive Backs get the idea that they must backpedal right at the snap of the ball pounded into their head. In this drill though, the CB actually wants to maintain his ground. Because he is responsible for the Flat he does not need to backpedal at the snap of the ball. While he doesn’t need to backpedal out he does need to get his feet moving slightly. We tell our Cornerbacks to get into a position where they have the balls of their feet lightly on the line. This gives them a reference point on where to stay, while also teaching them the proper technique. The second major coaching point is based on teaching the players how to make contact with the Cornerback. The goal is to reroute any receiver to the inside. When the receiver releases outside the Cornerback will use his feet to get into a position to keep the receiver between himself and the Quarterback. As the receiver continues to push towards the outside the Cornerback will take two shuffle steps before returning back to his zone. If the receiver makes an in breaking route the CB will stay with him for two shuffles before returning to his zone. This helps ensure that if it is a double move the Cornerback still has the ability to collision him and help the Safety get over the top of any vertical route. The final coaching point is getting the Cornerback back into a position to defend his passing zone. After the Cornerback shuffles with the receiver for two steps he will get back into his passing zone and look for the next potential threat. The key here is to give the receiver a last shove before settling into the passing zone and getting his eyes on the Quarterback. One of the things that makes this drill so great is that there can be as many groups going at once as you need. As long as they all are assuming they are on the same side of the ball and the receivers are running the same route you can space these out every 5-7 yards. This makes it a great drill to work on installing any coverage where the Cornerback will be working Cloud coverage. The Cloud Corner Cover Drill is a great tool to work with the Cornerbacks to ensure that they are correctly reroutes all receivers. 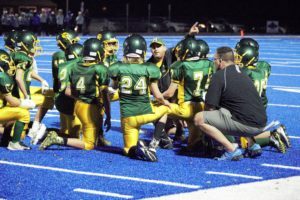 In the installation portion of the season it will get every player the necessary reps to learn the technique. During the heart of the season you can use the drill to go over the top route combinations of the opponent and prepare your players for the upcoming opponent.